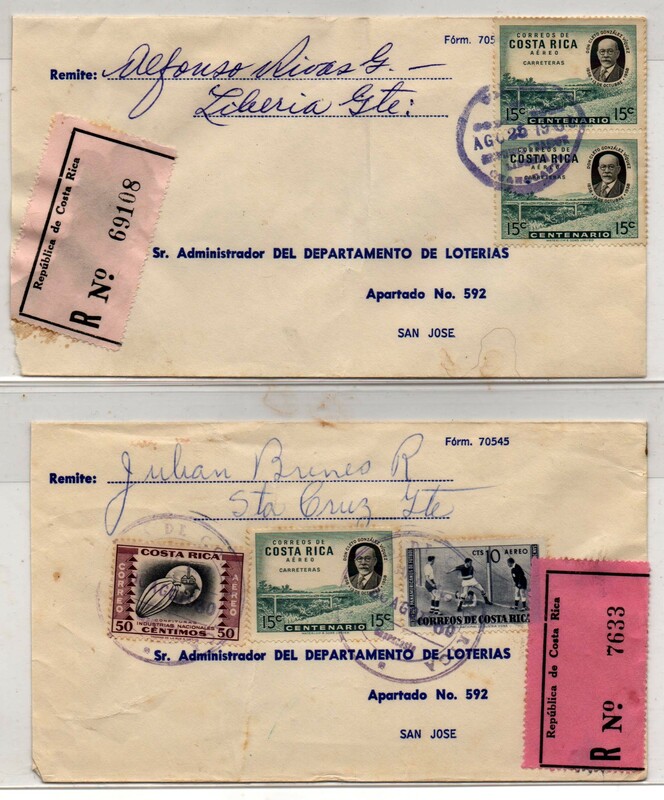 Send all bids and payments to Raul Hernandez, 4204 Haring Road, Metaire, LA 70006 USA or rherna3870@aol.com. 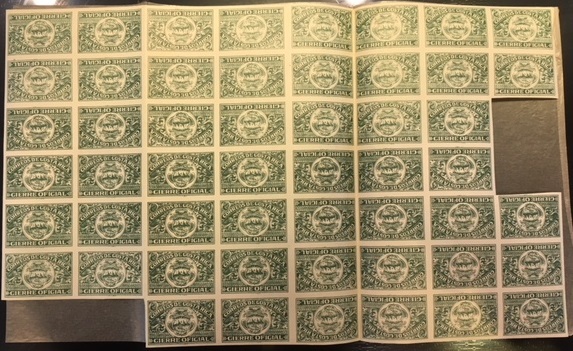 The closing date is March 30, 2019 at noon. 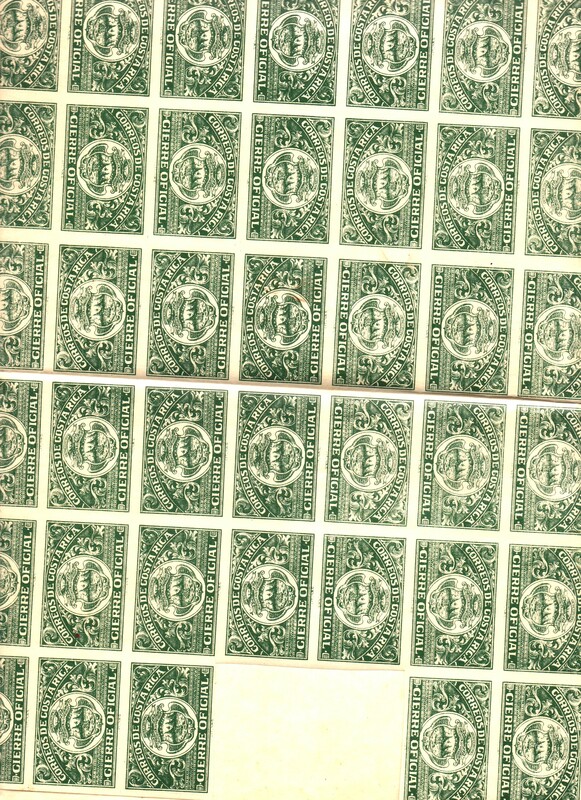 The winning bid will be one raise over the next highest bid. 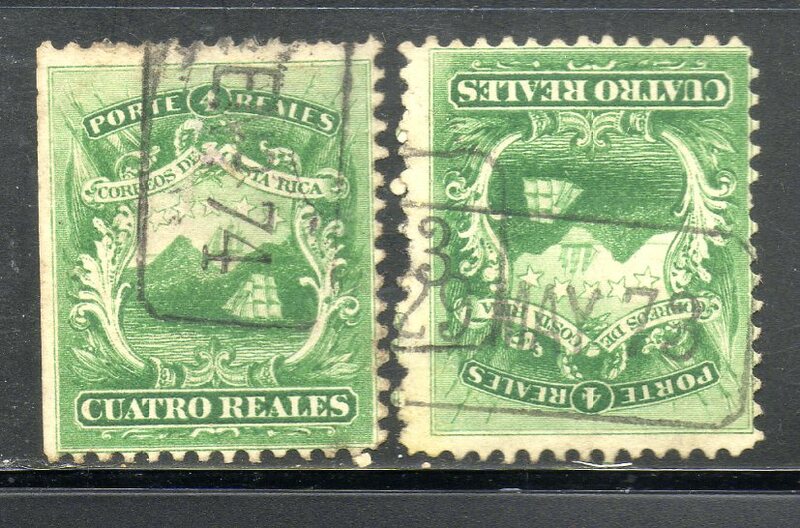 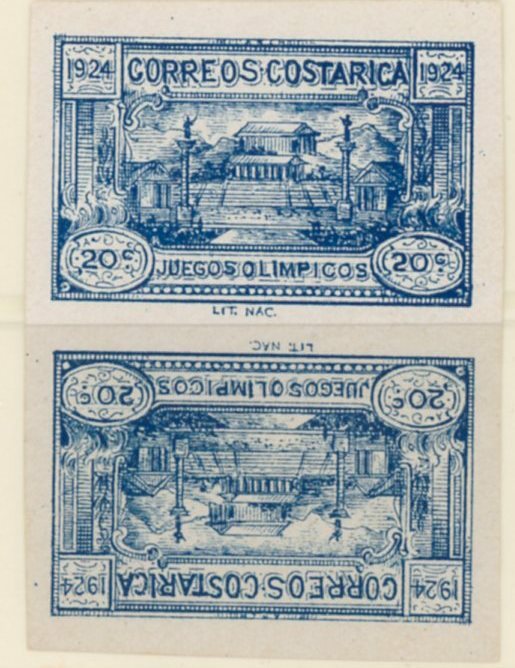 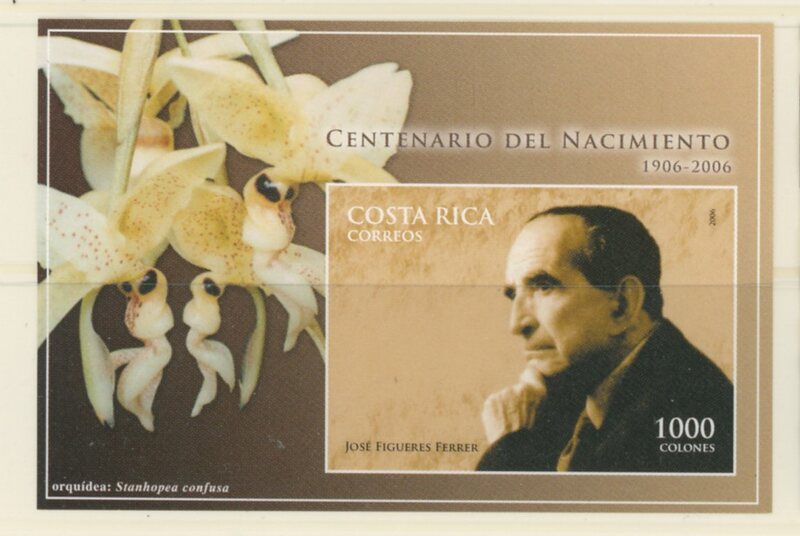 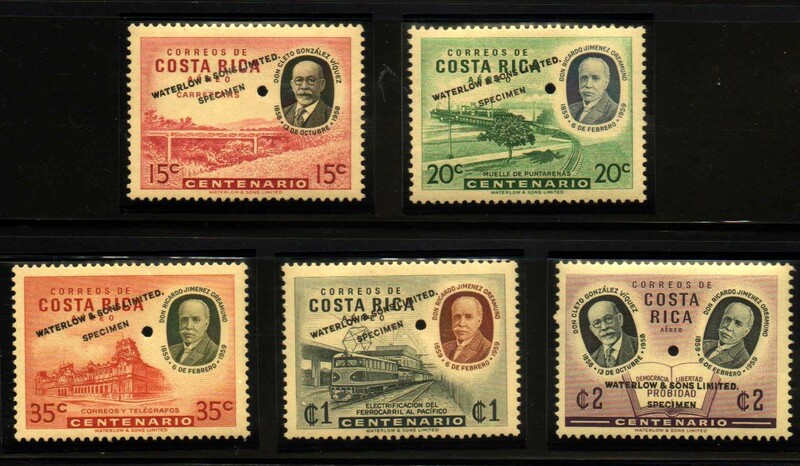 All the lots are illustrated in the Socorico Web Site with complete auction conditions. 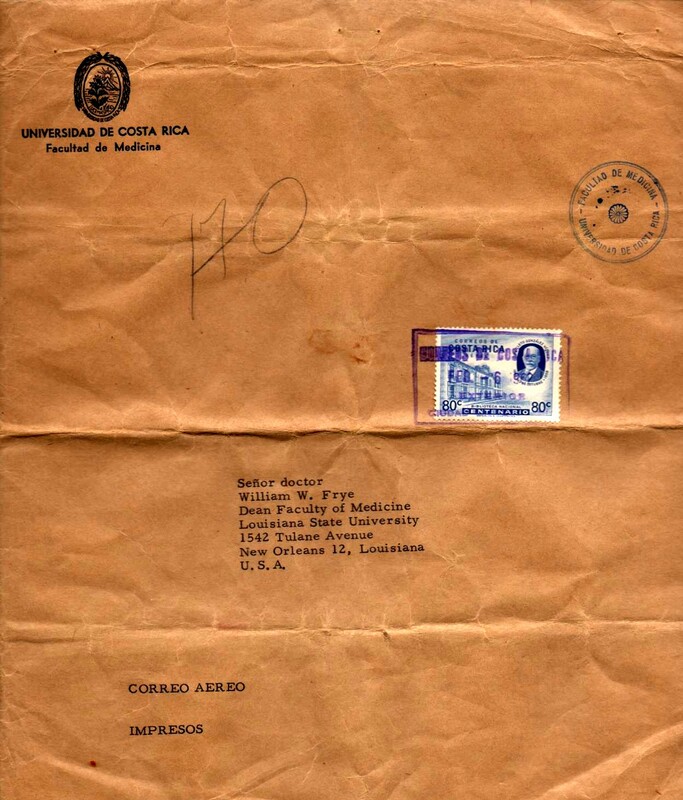 The same information can be obtained by phone, fax or mail from R. Hernandez. 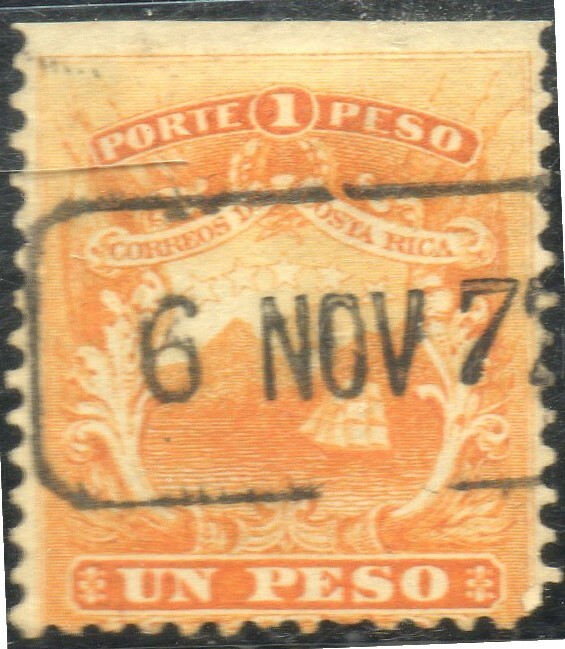 A buyer fee of 5% will be charged, but it will be waived if payment is received within 15 days after notification. 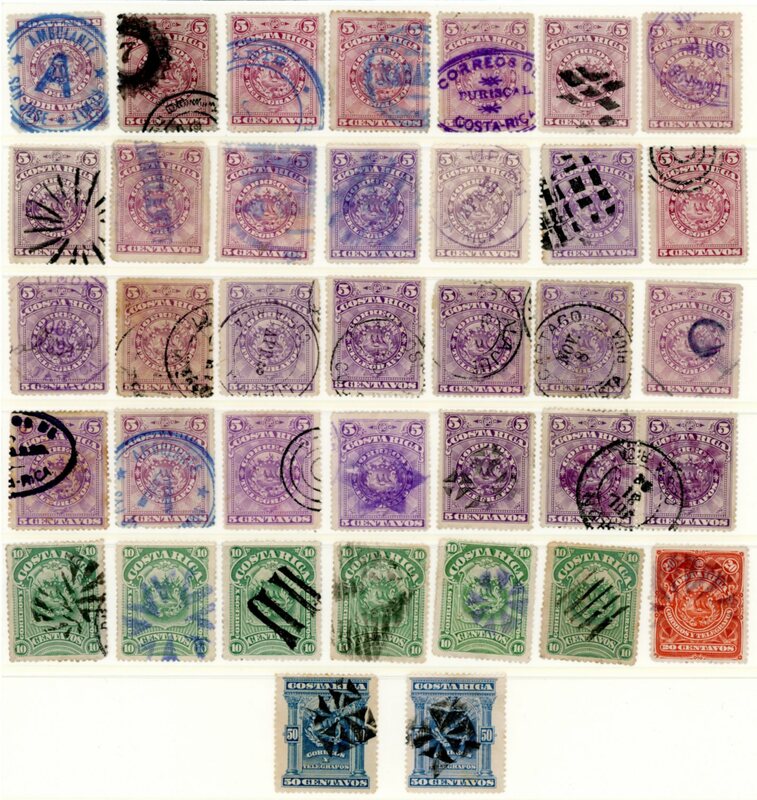 If no payment is received 30 days after notification the lot will be assigned to the second highest bidder. 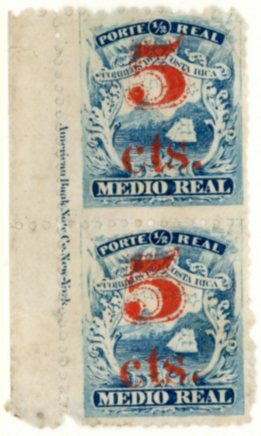 The cost of postage is additional. 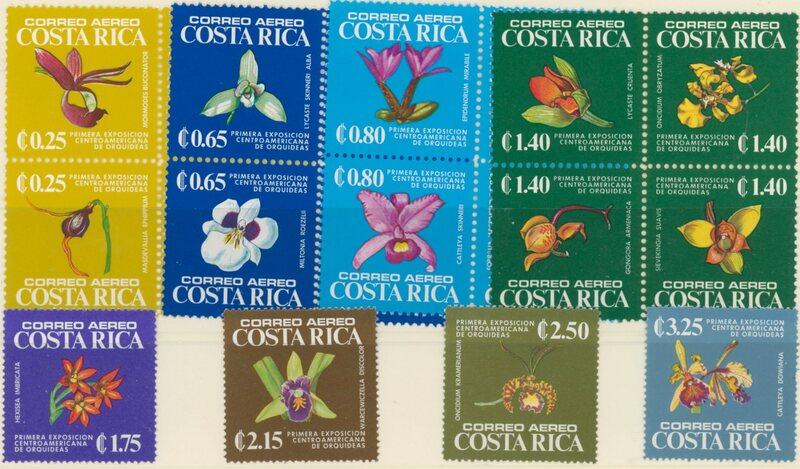 Packages over $100 will be sent insured and foreign ones will be sent airmail registered at the recipient risk. 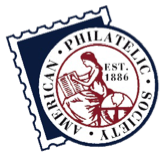 Consult www.usps.com for postage rates. 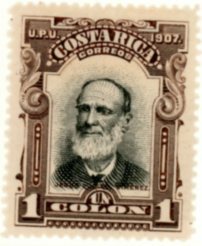 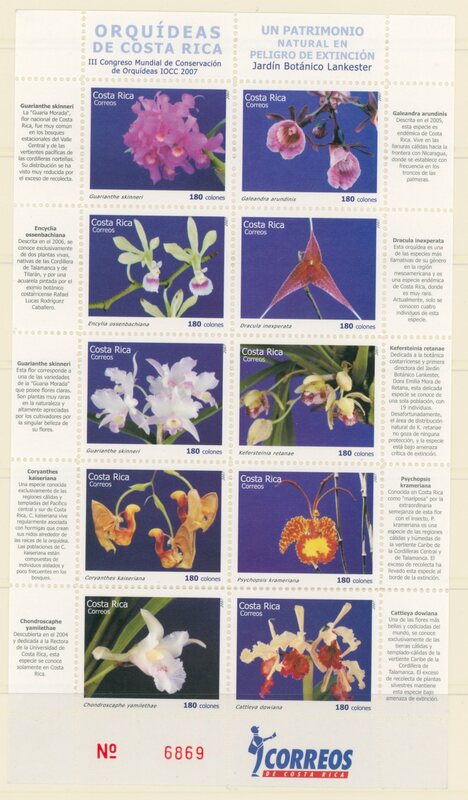 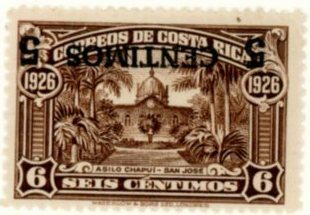 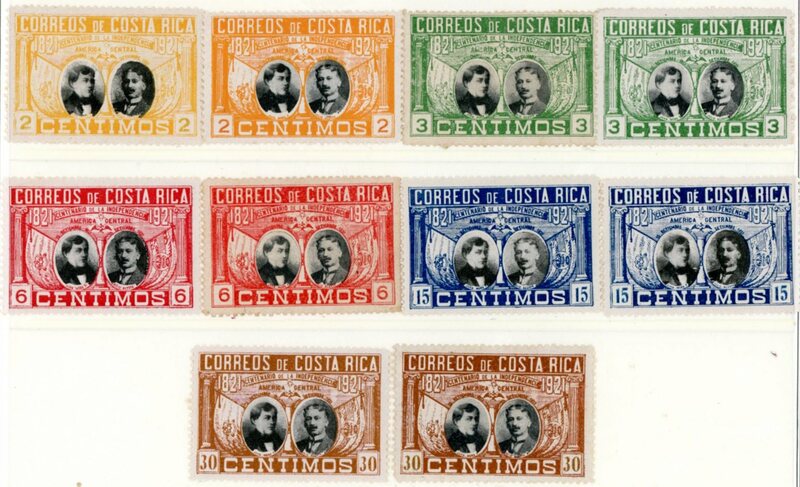 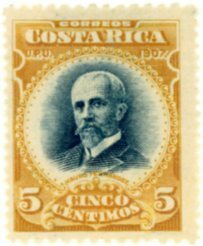 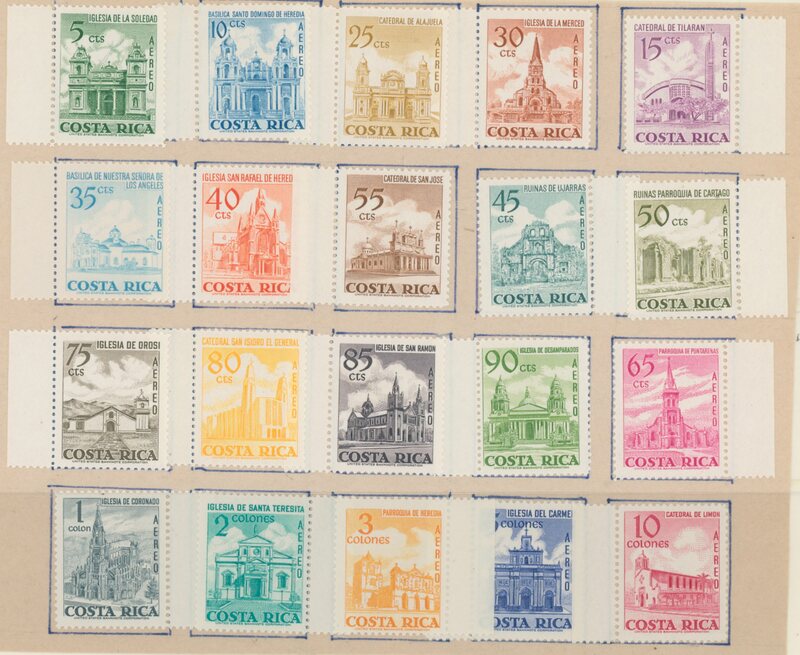 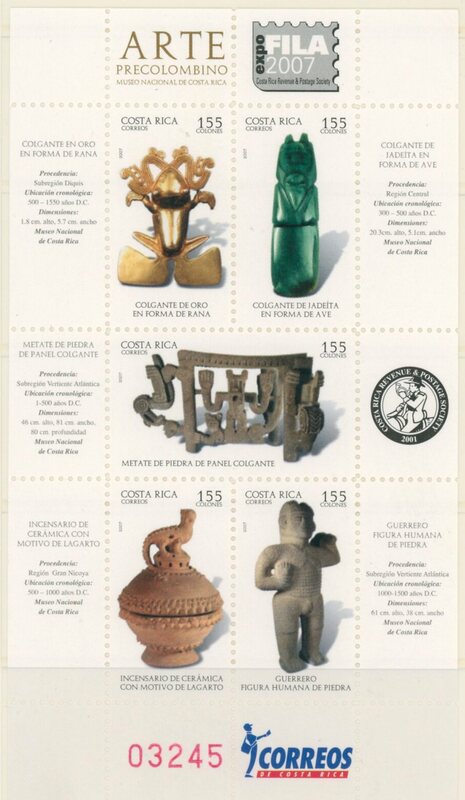 Catalogue price reference is "Scott Standard Catalogue", other reference numbers are the "Costa Rica Postal Catalogue Fourth Edition 2014" or "Costa Rica Revenue Stamp Catalogue 2006 (M&R)". 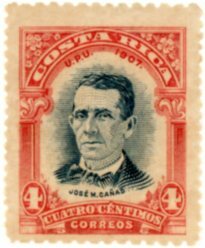 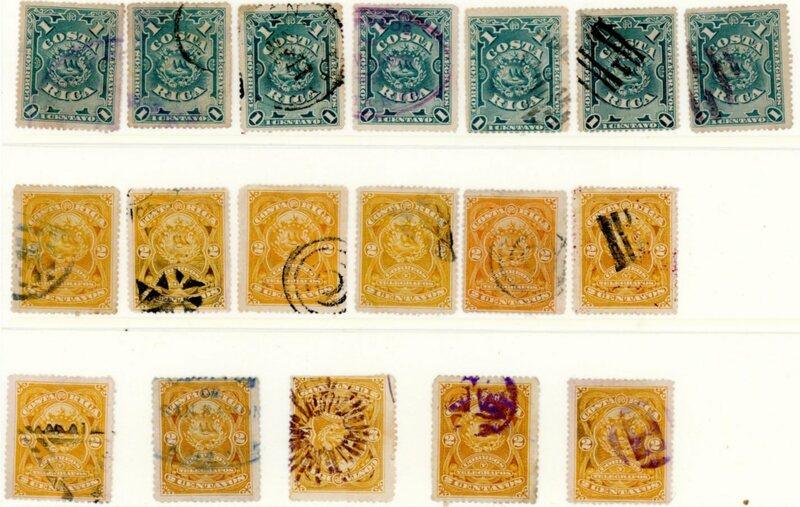 Low value stamps are not graded; in a lot the overall grade represents the highest value stamps. 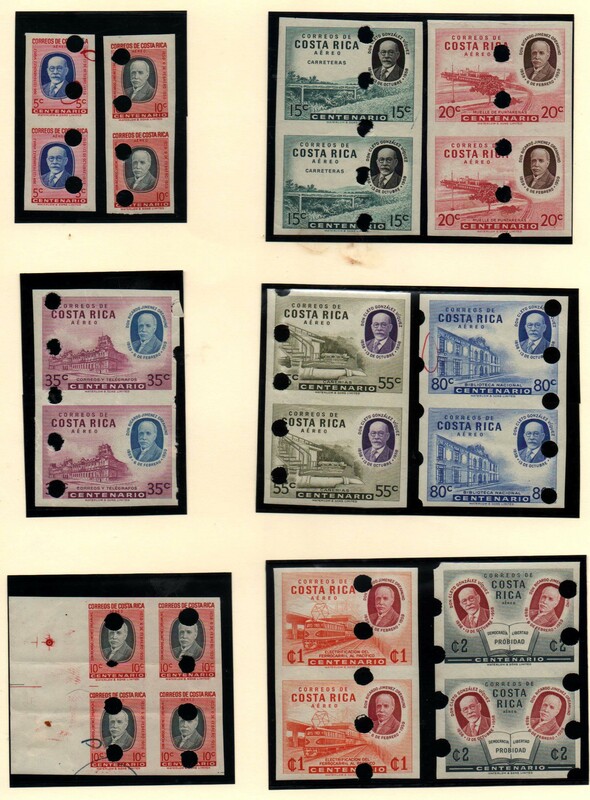 Submit items for next auction by April 15, 2019 by noon to Hector Mena, P.O. 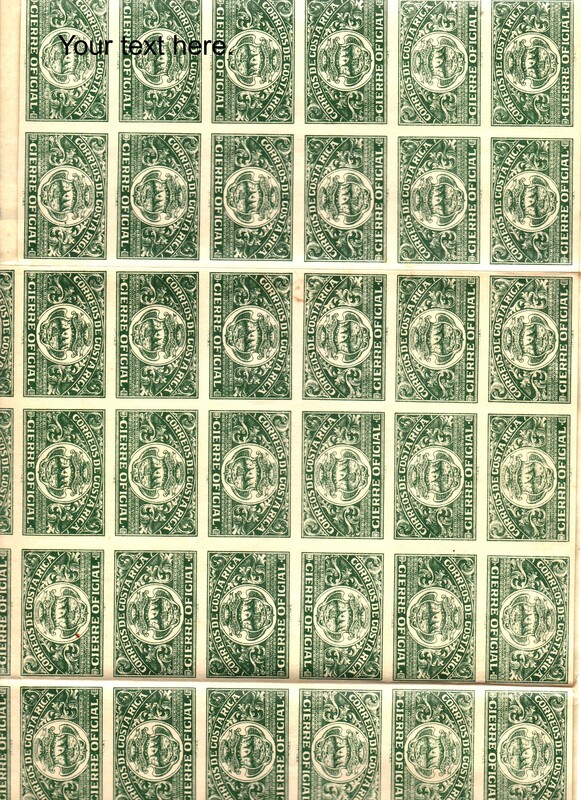 Box 14831, Baton Rouge LA 70898. 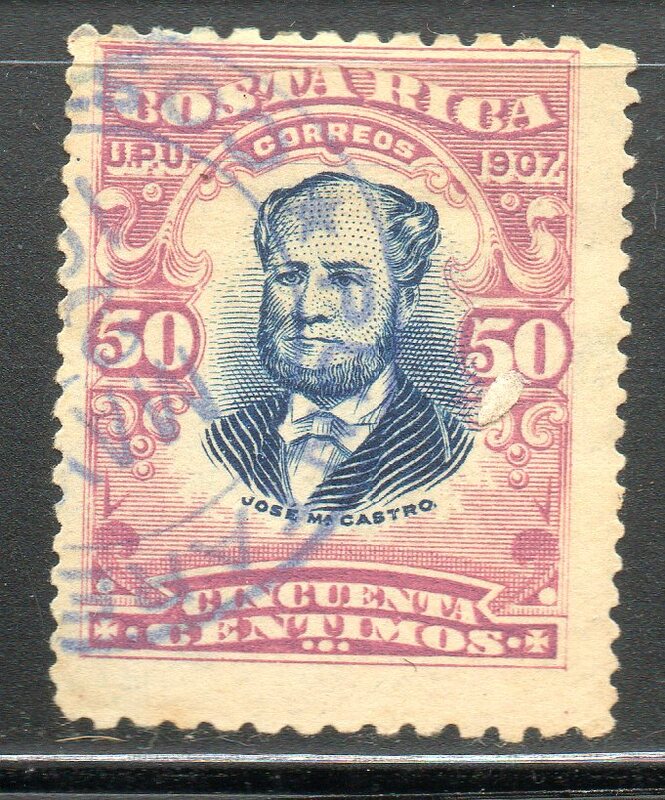 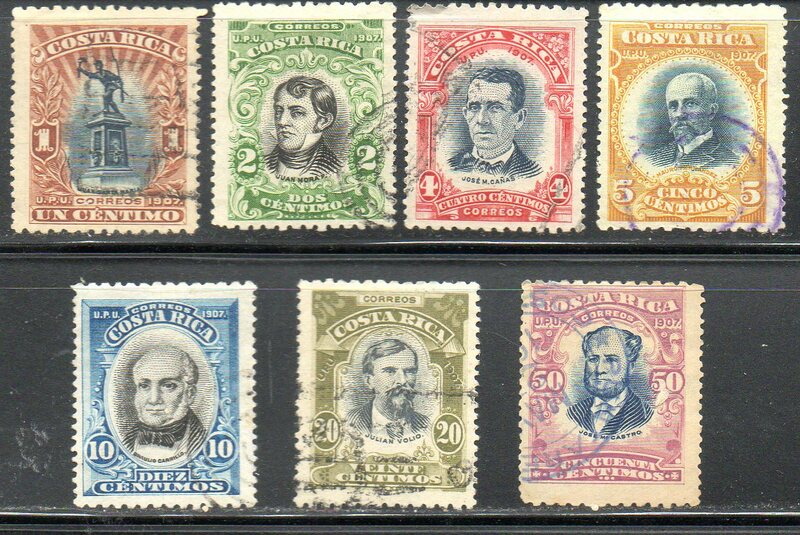 Abbreviations o/p: overprint, s/c: surcharge, cc: circular cancellation, ng: no gum, og: original gum, nh: no hinged, FDC: first day cover, mint or MNH: mint never hinged, SJ: San Jose, reg: registered, bk: block, i: irregular shape, RUC: right upper corner, RLC: right lower corner, LUC: lower upper corner, LLC: left lower corner. 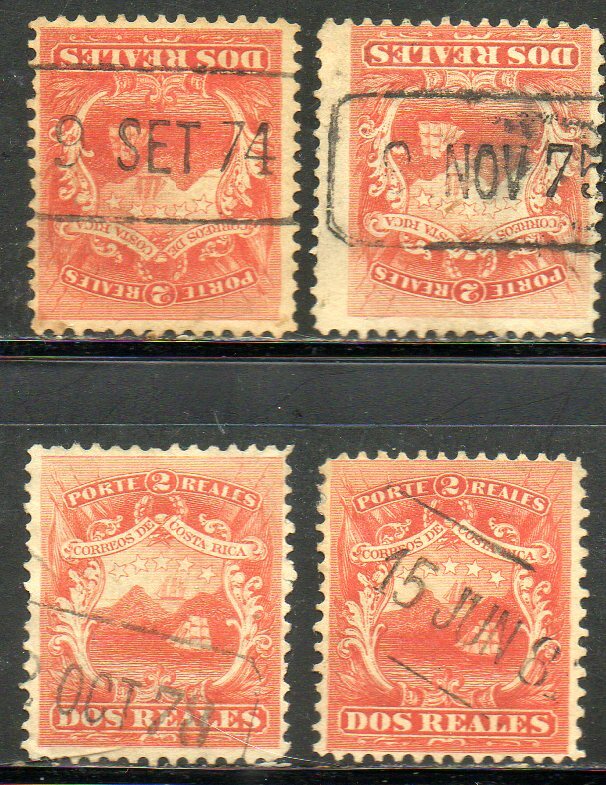 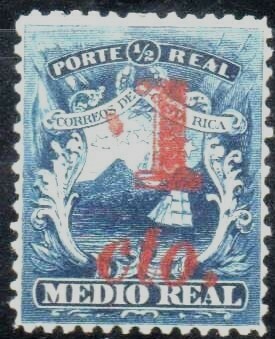 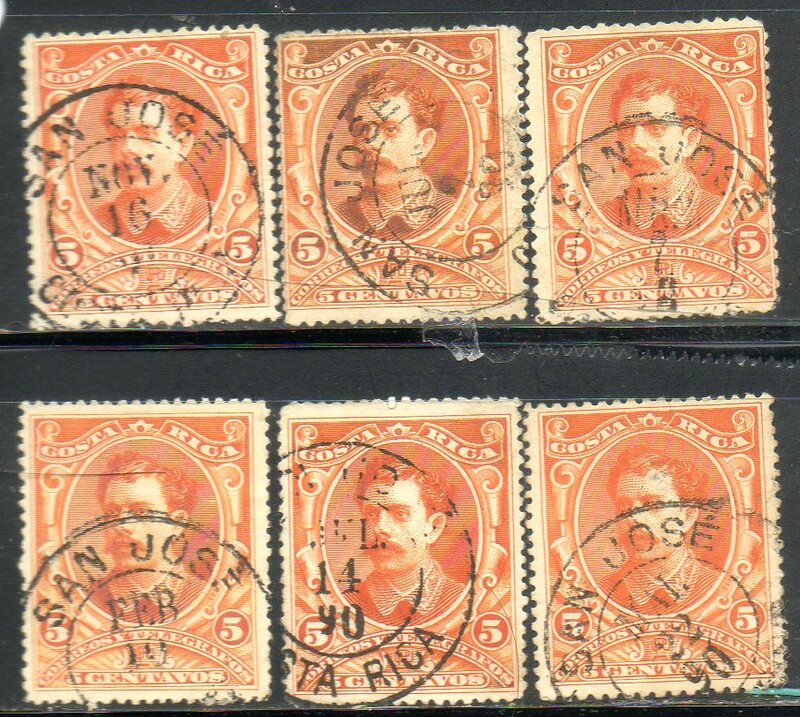 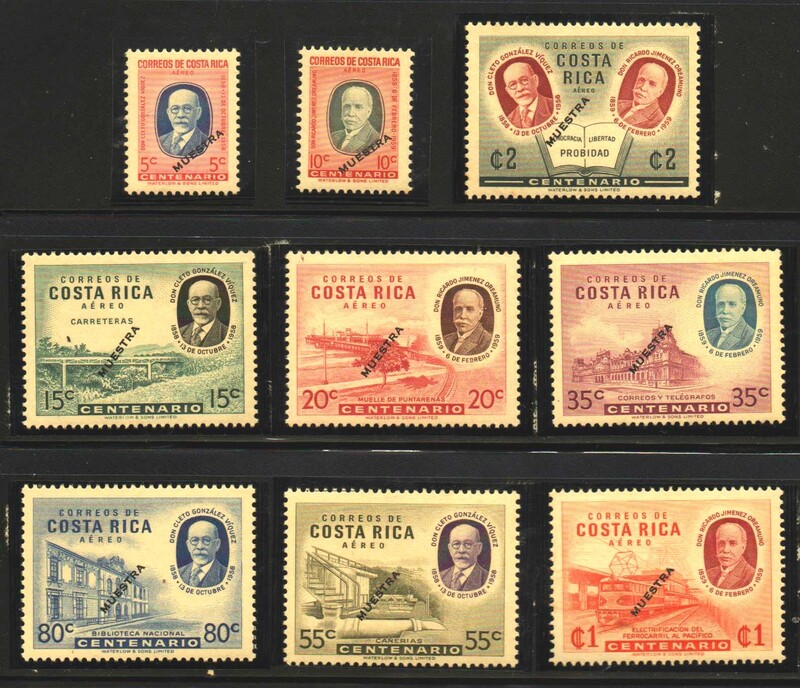 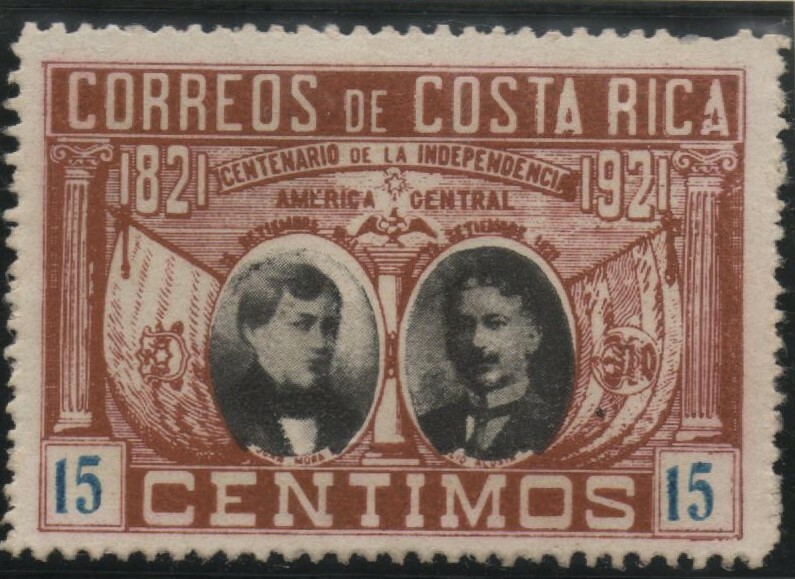 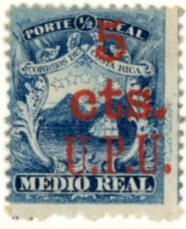 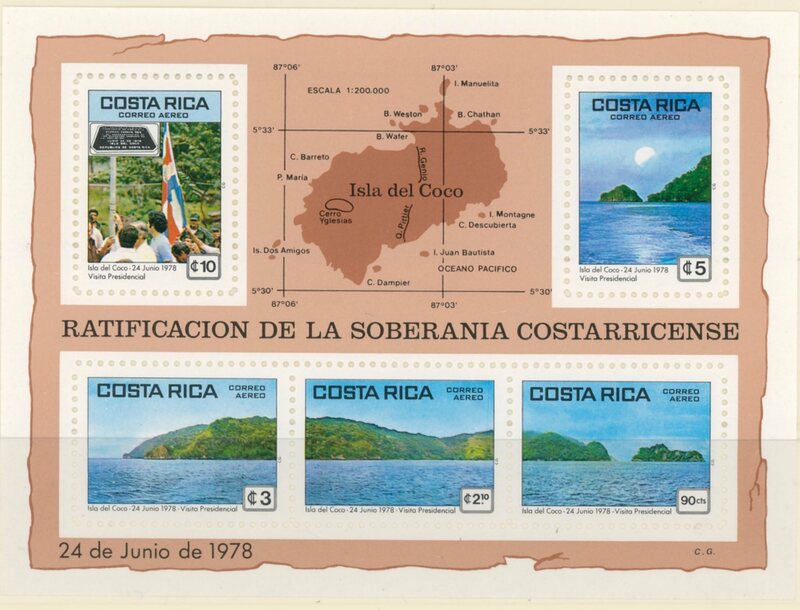 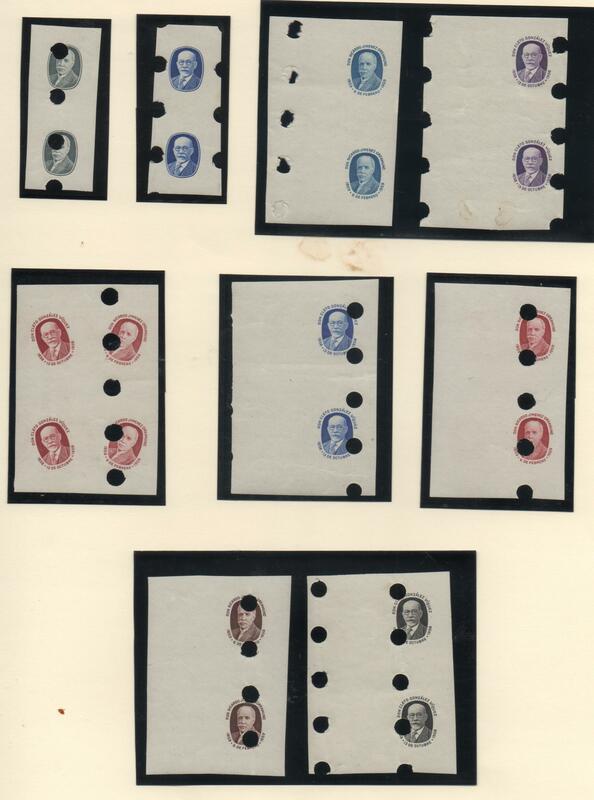 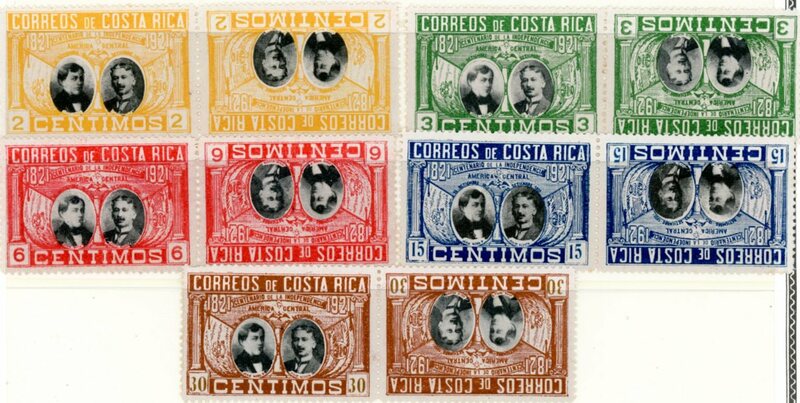 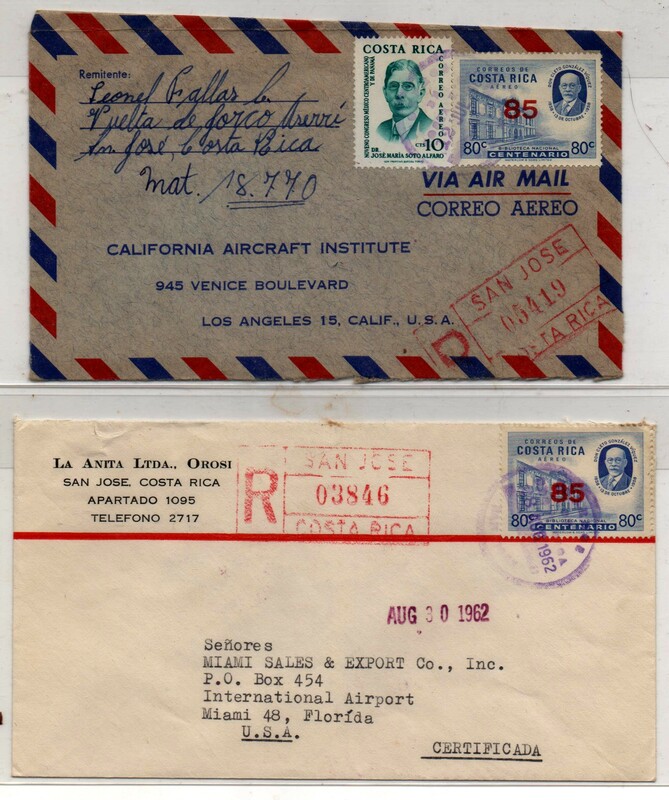 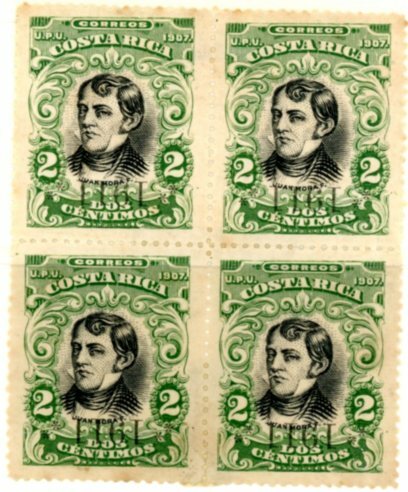 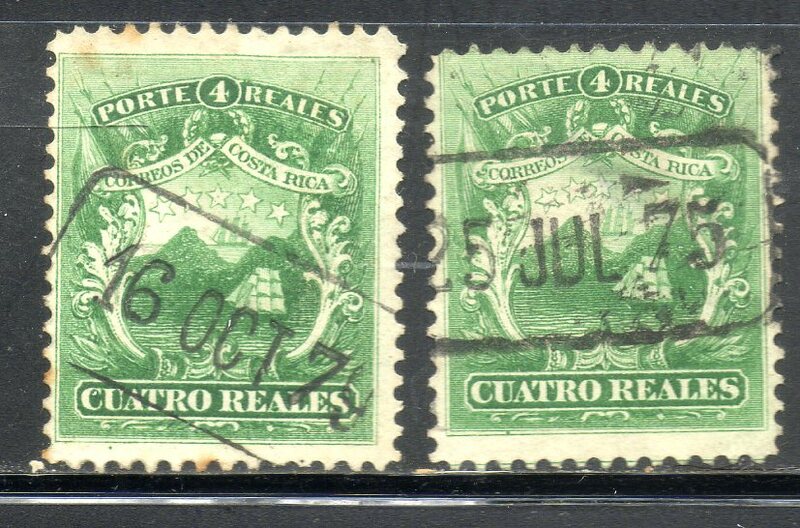 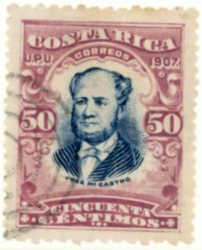 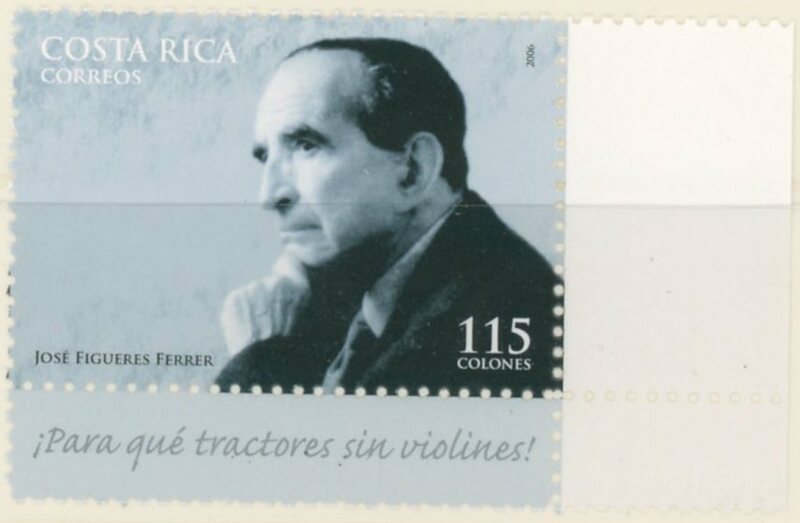 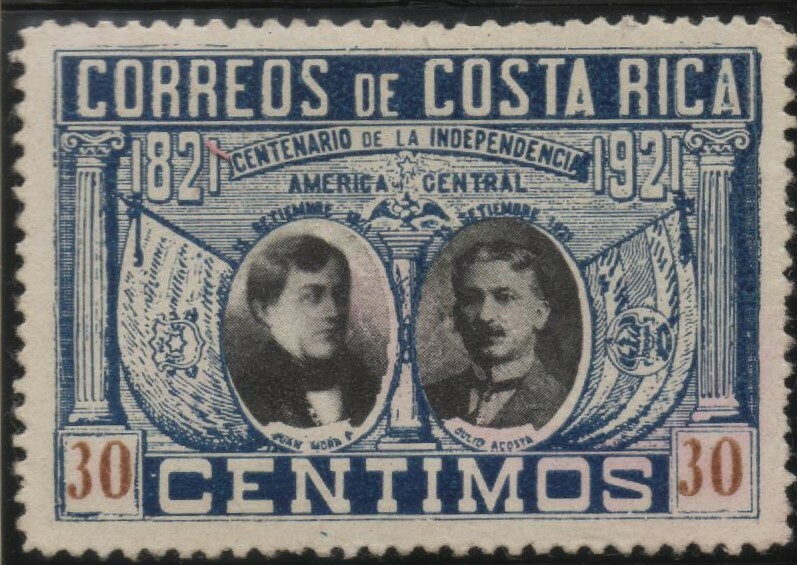 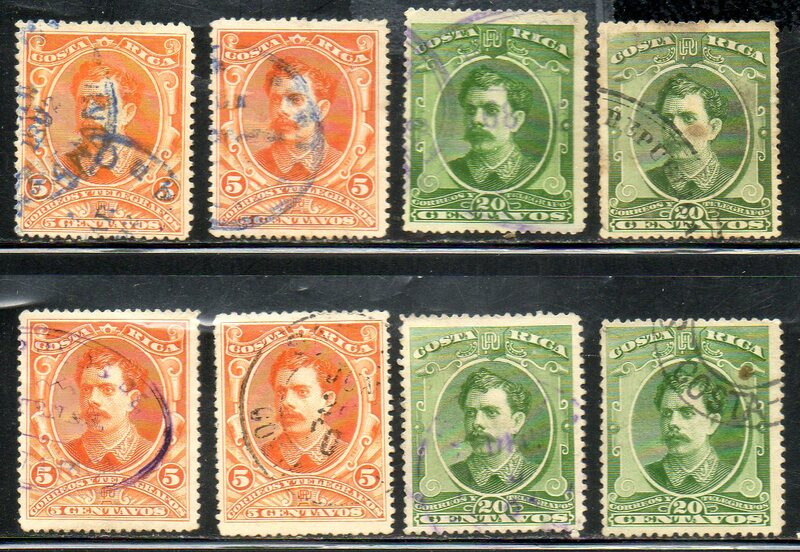 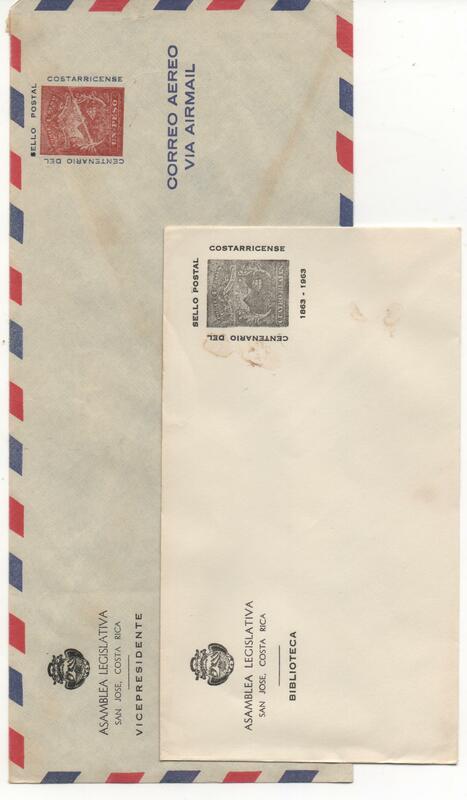 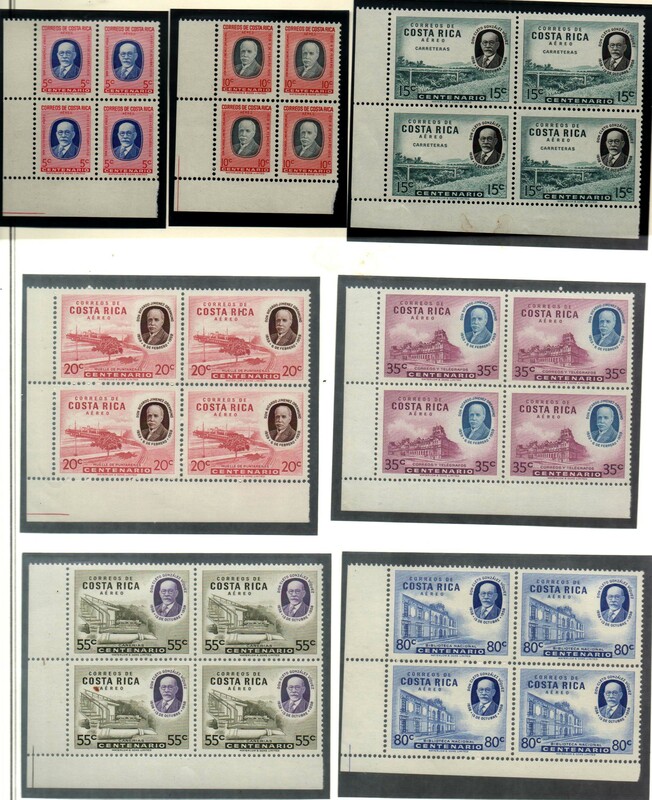 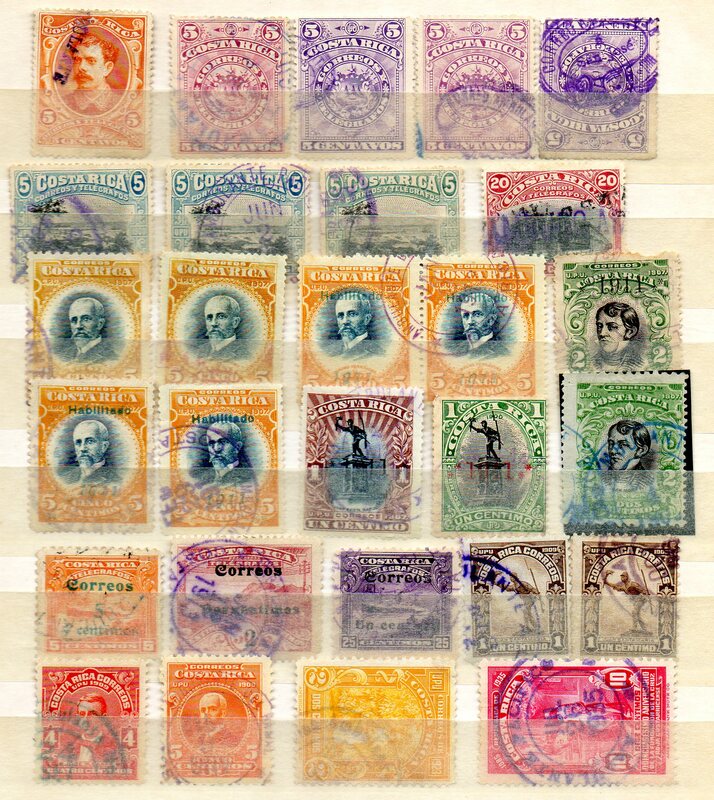 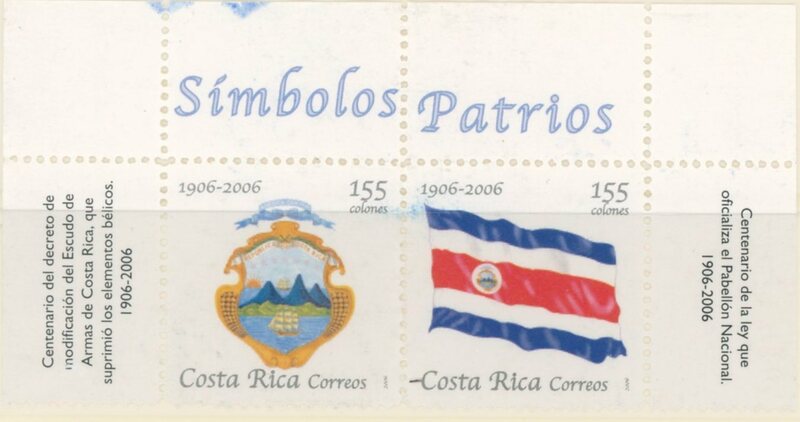 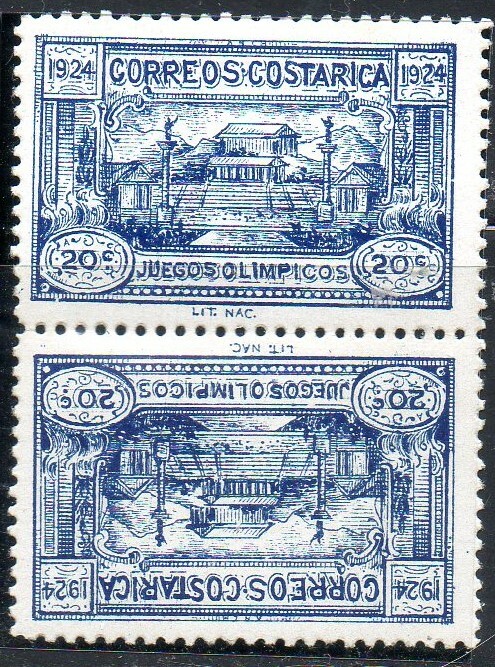 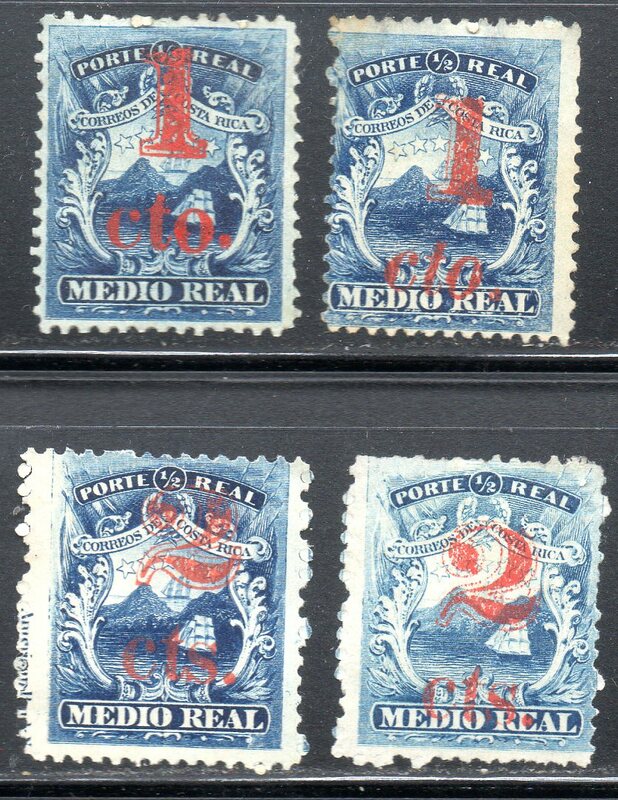 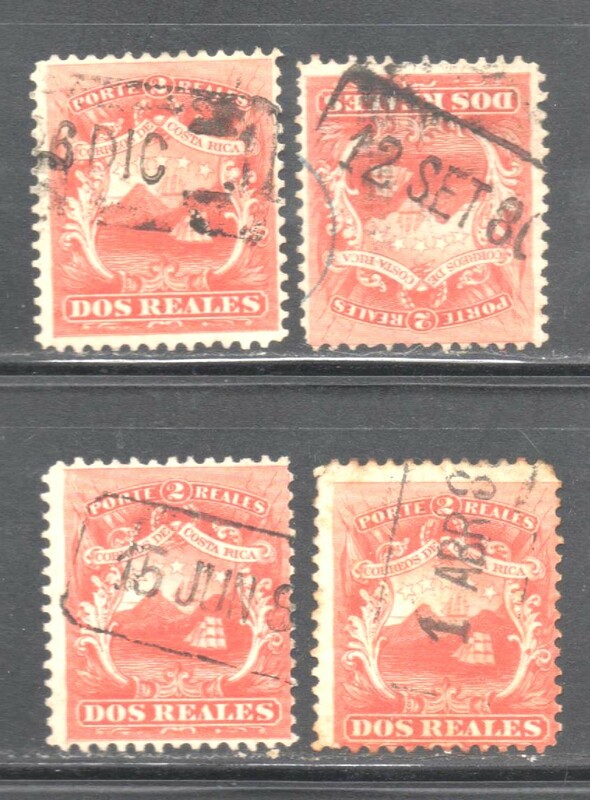 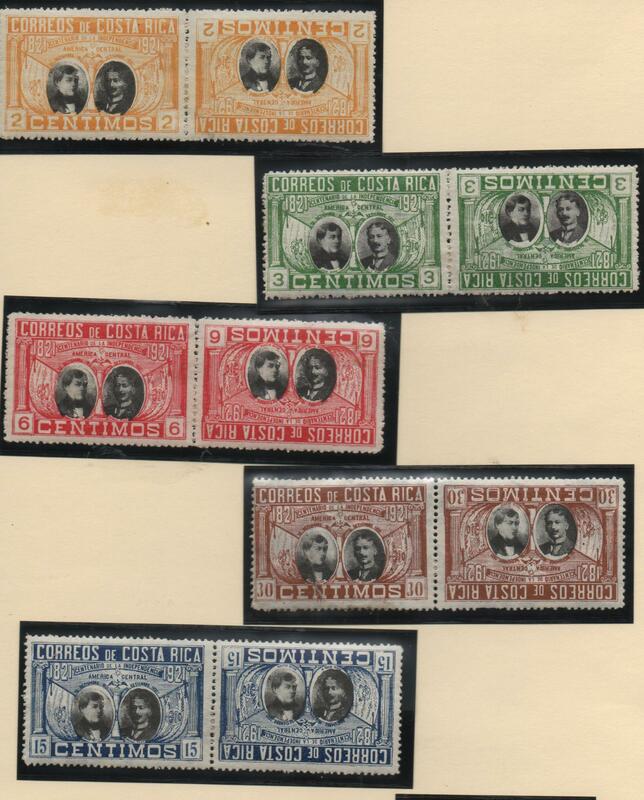 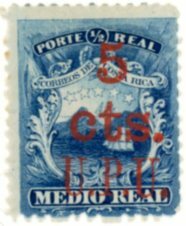 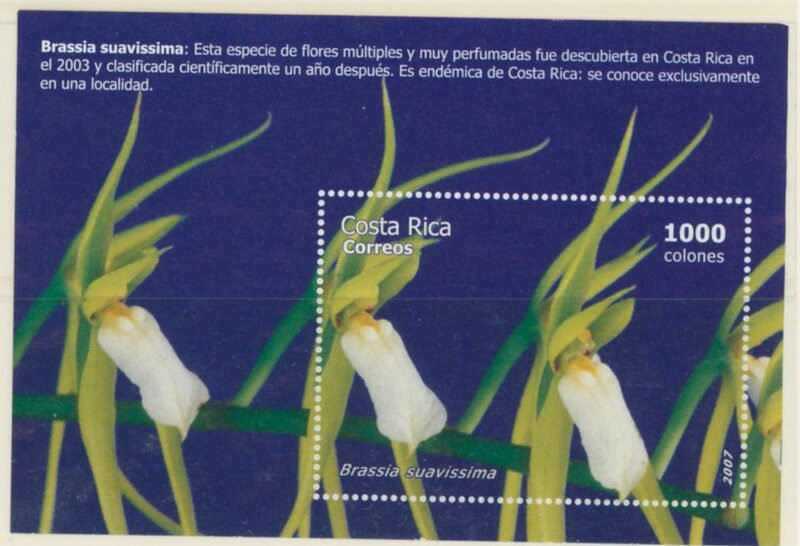 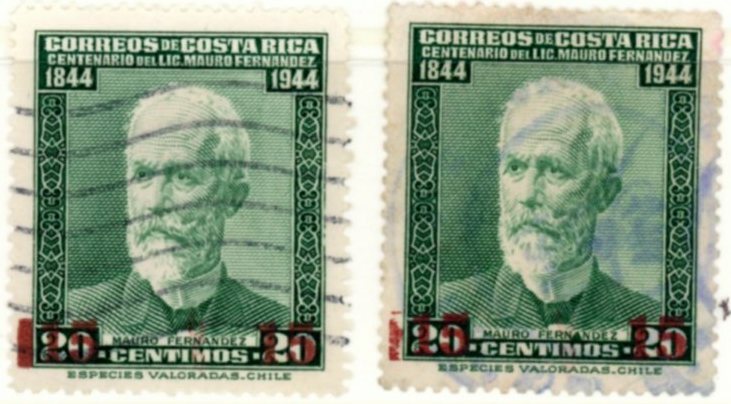 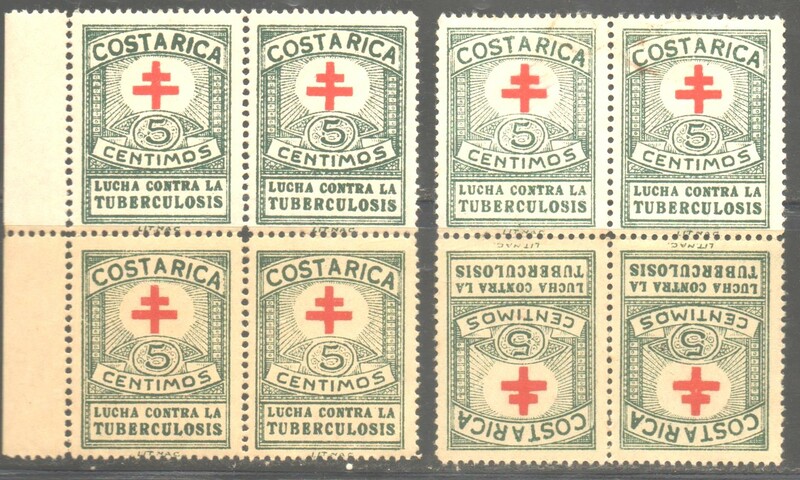 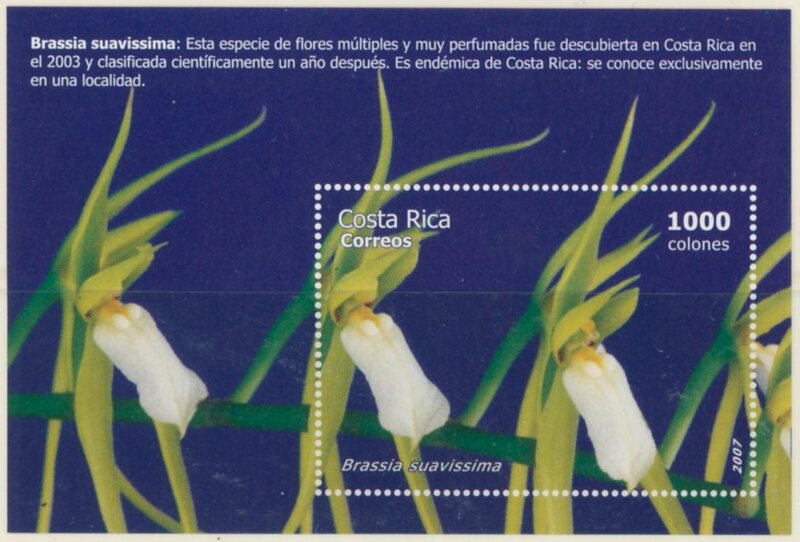 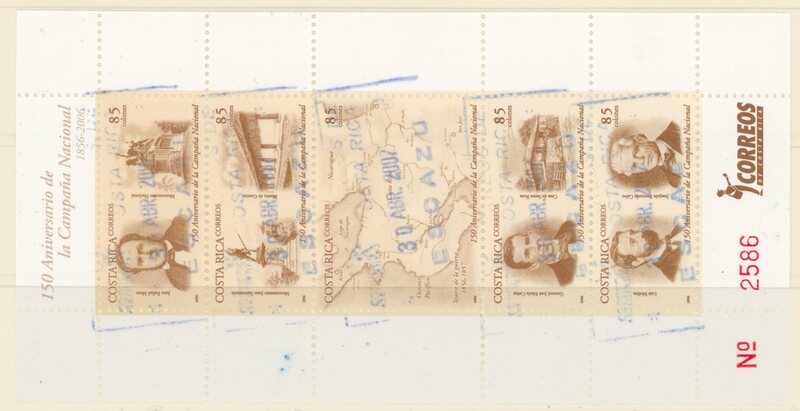 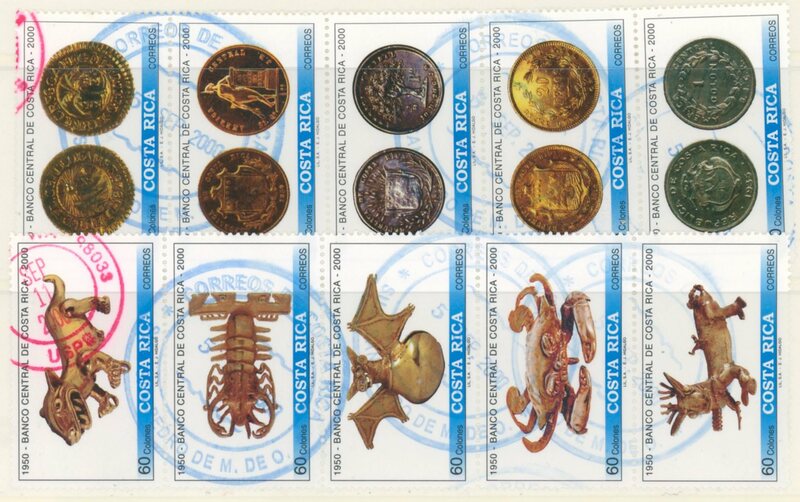 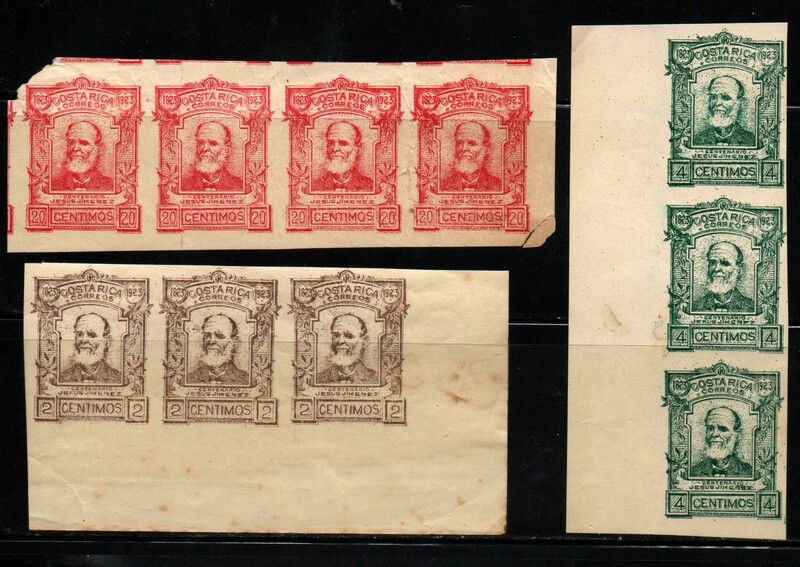 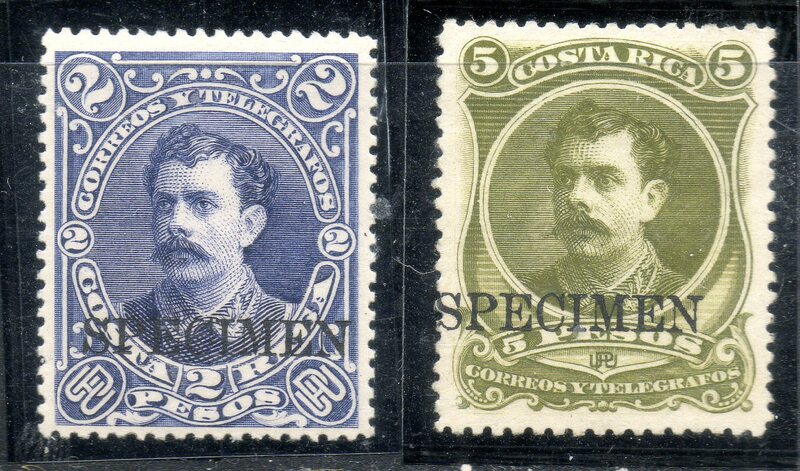 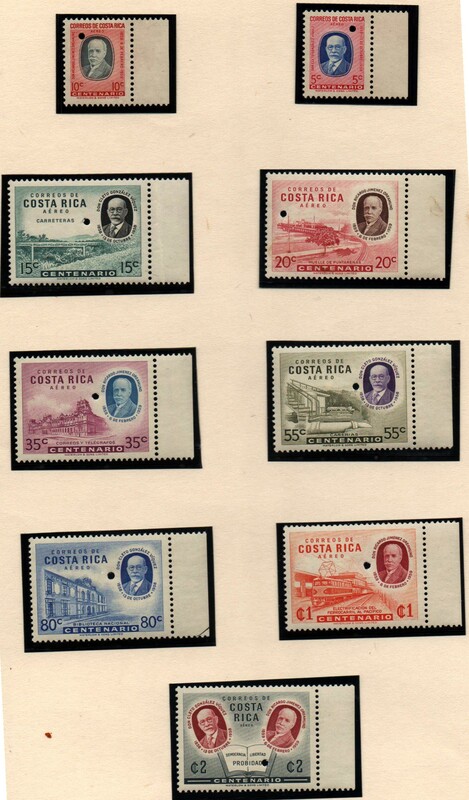 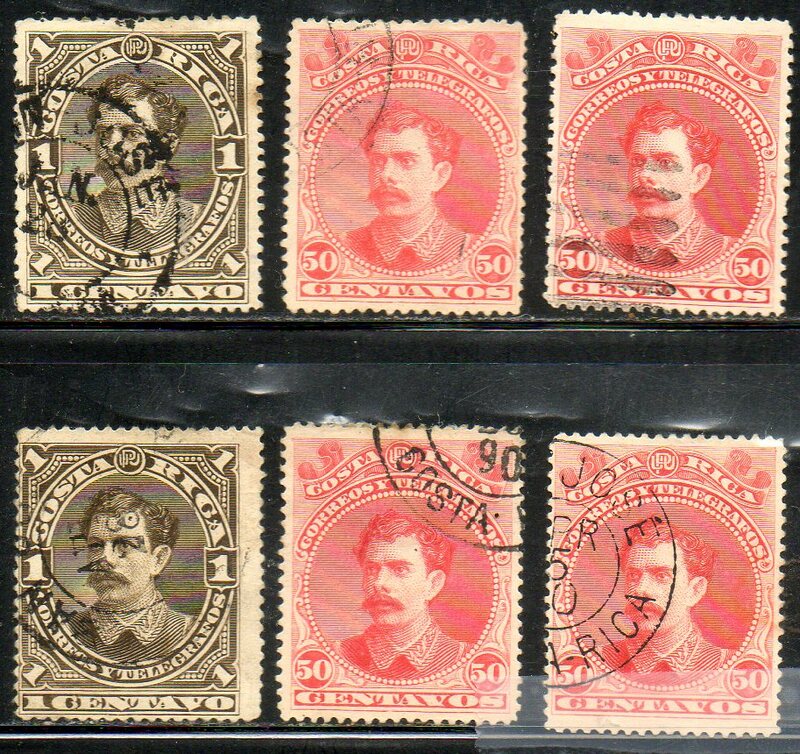 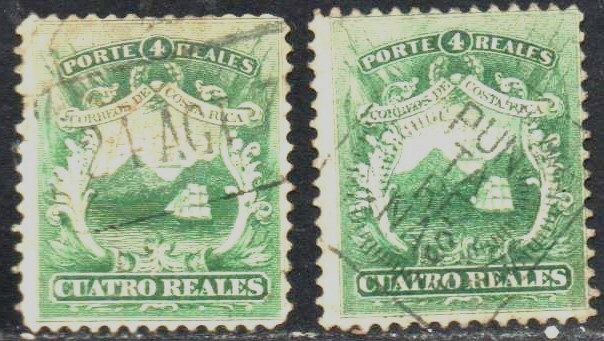 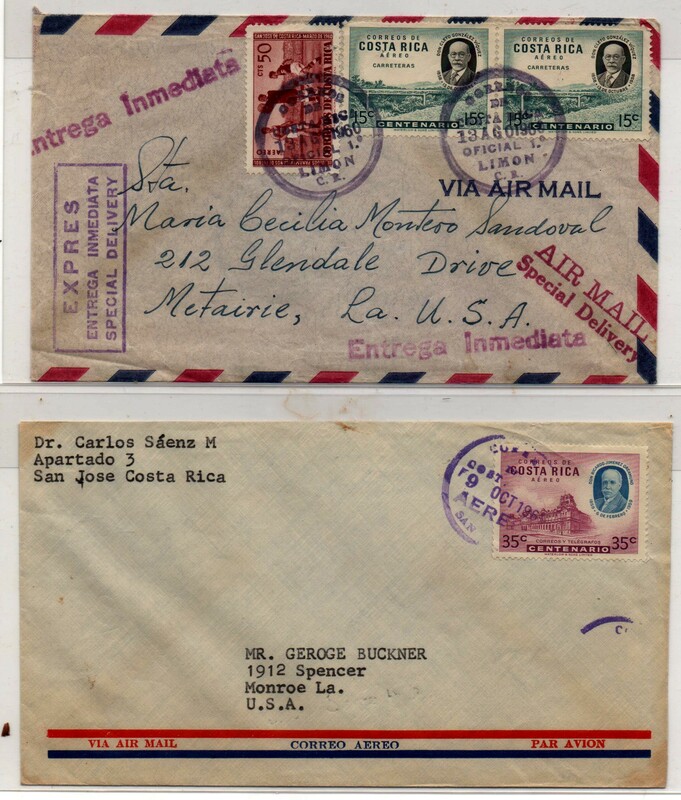 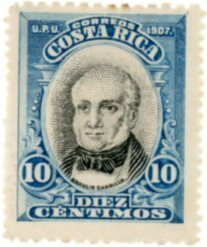 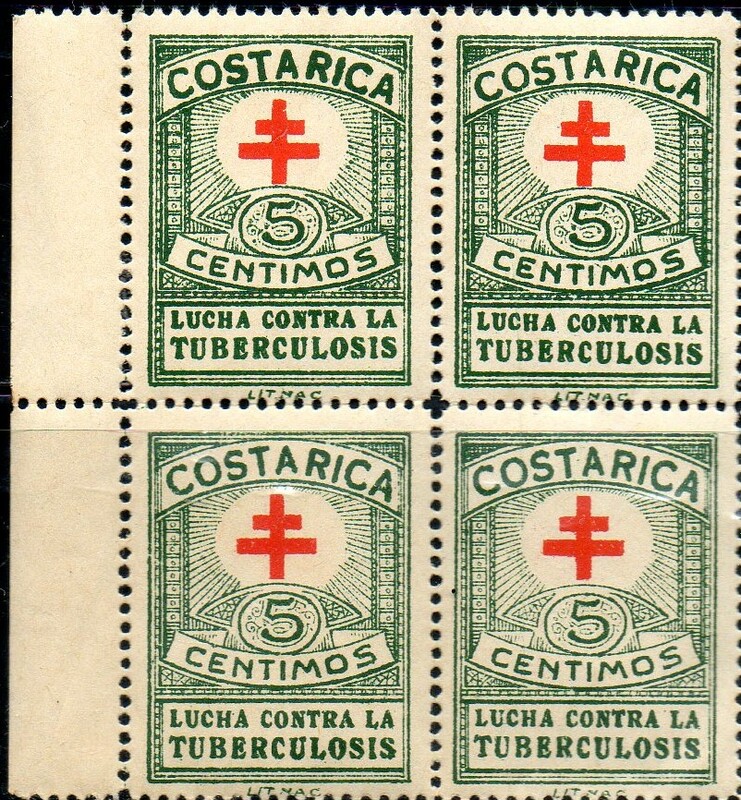 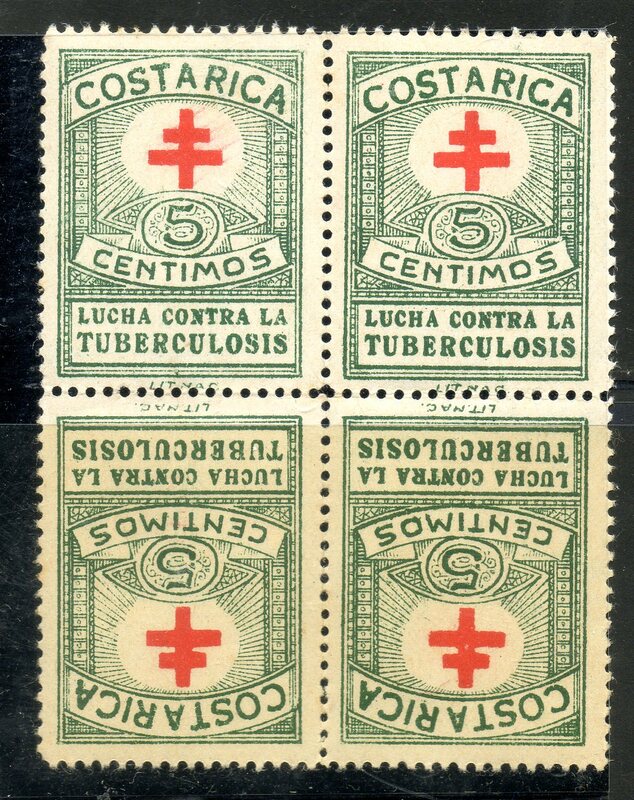 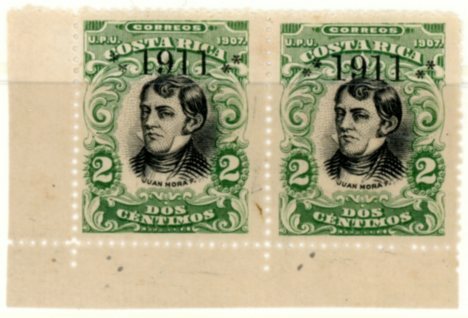 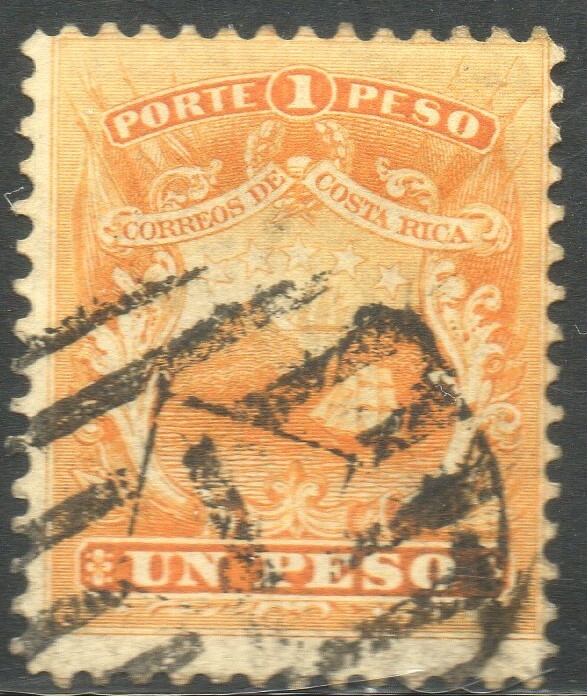 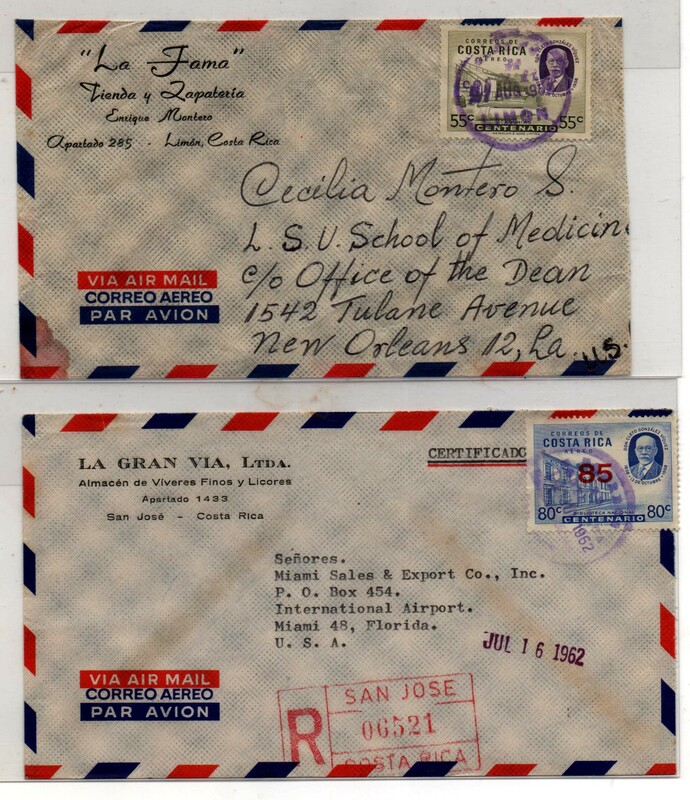 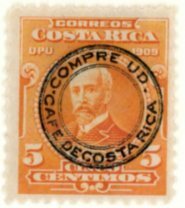 Commercial covers - specified these covers may have stamps of other contemporary issues. 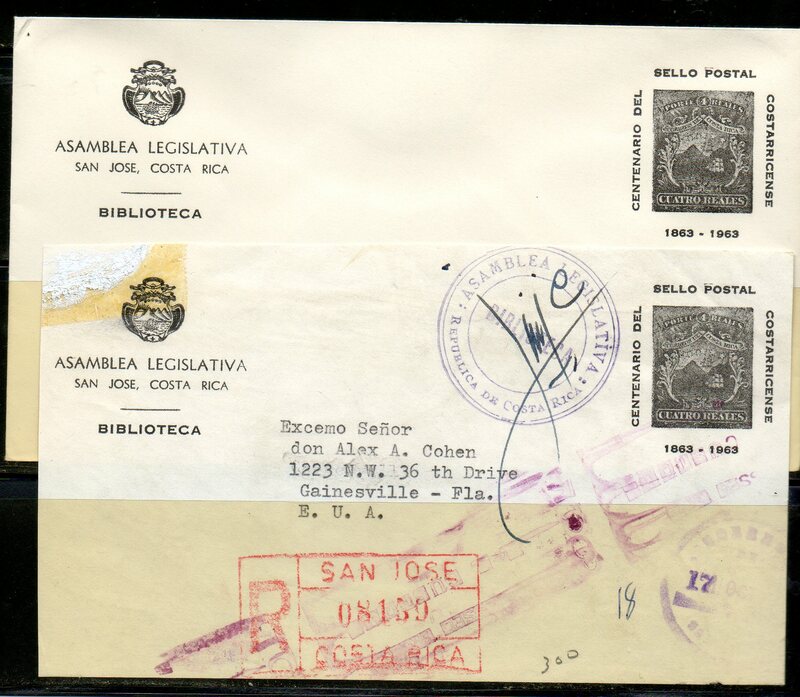 All covers from San Jose or to San Jose unless specified.